Grow empowered to find and pursue your passion. Make a difference while cultivating valuable relationships with mentors + content experts. Become an innovative problem solver to tackle the grand challenges in our state and the world! Are currently working on a social venture, product or project solo or with a team; and/or want to join an existing venture team. The Haiti Goat Project aims to educate Haitian agricultural producers to improve the genes of goats for more sustainable and nutritious school lunches. Fellows are working to prepare the nonprofit for serving more areas. Root Bioscience transforms phytocannabinoids into premium health and wellness products using processes that combine specialized cannabis industry technology with advanced bio-manufacturing techniques. This project involves creating a plan that could be developed and contact made with local school systems to explore the feasibility of developing local produce products for consumption at the schools in the region. This project will explore sustainability, cultural issues, and cost solutions for an NCSU-designed protective garment created for migrant farmers in rural North Carolina. The Flexcrevator team is developing a machine for emptying pit latrines that would mitigate problems associated with manual emptying. A yearlong team-based learning experience, Social Innovation Fellows will enable NC State’s young social entrepreneurs and innovators who are building the next generation of technologies, inventions and ventures to consider more fully their impact on humanity and our planet. Fellows will explore issues of ethics and sustainability at the intersection of social sector and responsible business practice. Fellows will grow in understanding of themselves and the positive impact they can make in their communities and the world. Importantly they will grow in confidence, become keen thinkers and problem solvers sensitive to knowledge and cultural differences and be better prepared to leave NC State as engaged and responsible global citizens. Under the guidance of Social Entrepreneur-in-Residence Aly Khalifa as well as faculty, business and community leaders, learn adaptive leadership skills to become a successful entrepreneur + technical skills to create and launch an enterprise or project that seeks to achieve positive social impact. Want to work hands-on with a network of community partners to create real-world impact while gaining valuable experience, connections, and insight into starting and maintaining a successful social enterprise? Whether you're local or global; a professional or just starting out; a student or a professor; there are so many ways you can help out the Social Innovation Fellows. Join a team of motivated and passionate change-makers. 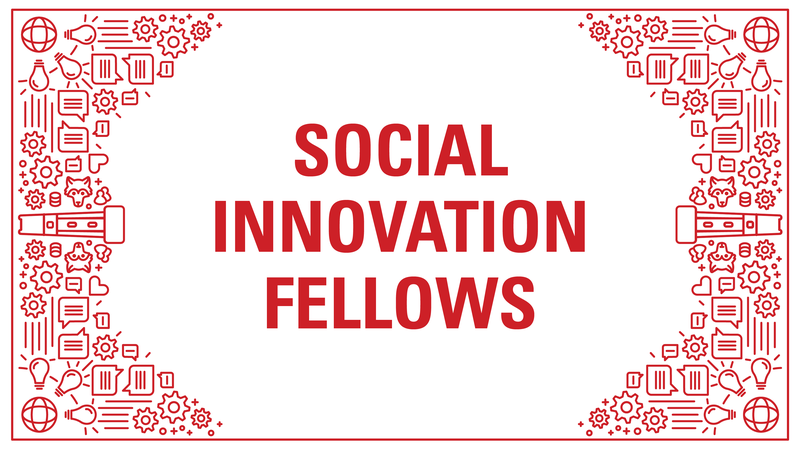 Have any questions regarding the Social Innovation Fellows? Feel free to contact us. Social innovation is powered by people with passion and motivation to use their talents to design and implement solutions to our most challenging social problems. The second cohort of Fellows is a diverse mix of students that represent all ten colleges here at NC State University. Over ten social entrepreneurs pitched their projects to the new Fellows. Reception highlights projects completed by the inaugural cohort of Social Innovation Fellows.